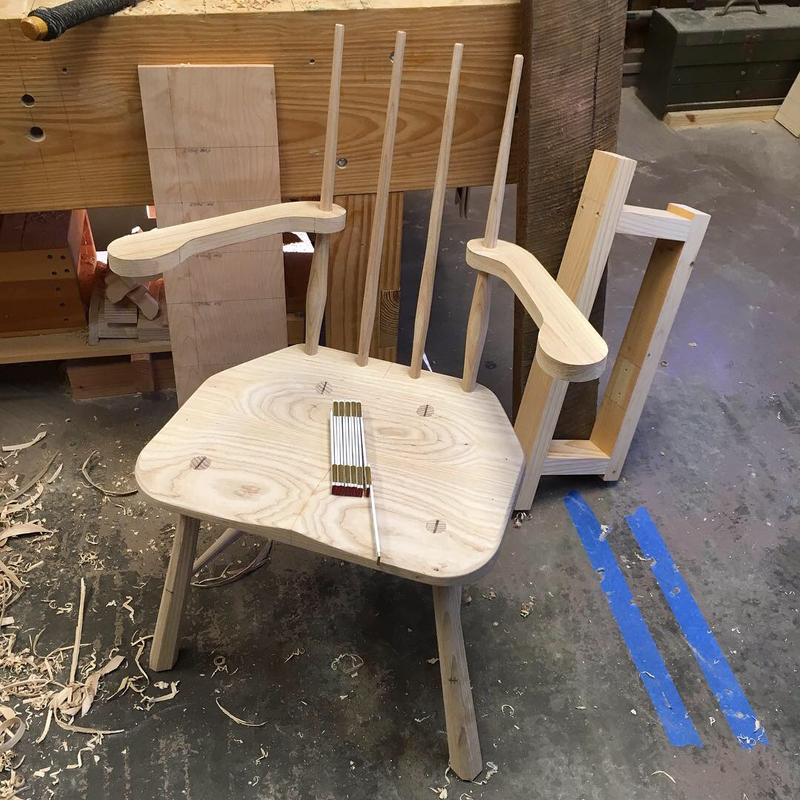 Immediately after the completion of the prototype chair from my last post, I began work on the next. Gluing up a seat blank of white ash and sawing arms from brown ash. The shape of the arms being mostly dictated by the grain of the wood. Striving to keep the grain off the arm continuous. In turn, the arm blank then plays a significant role in the shape of the seat. The process remains unchanged. 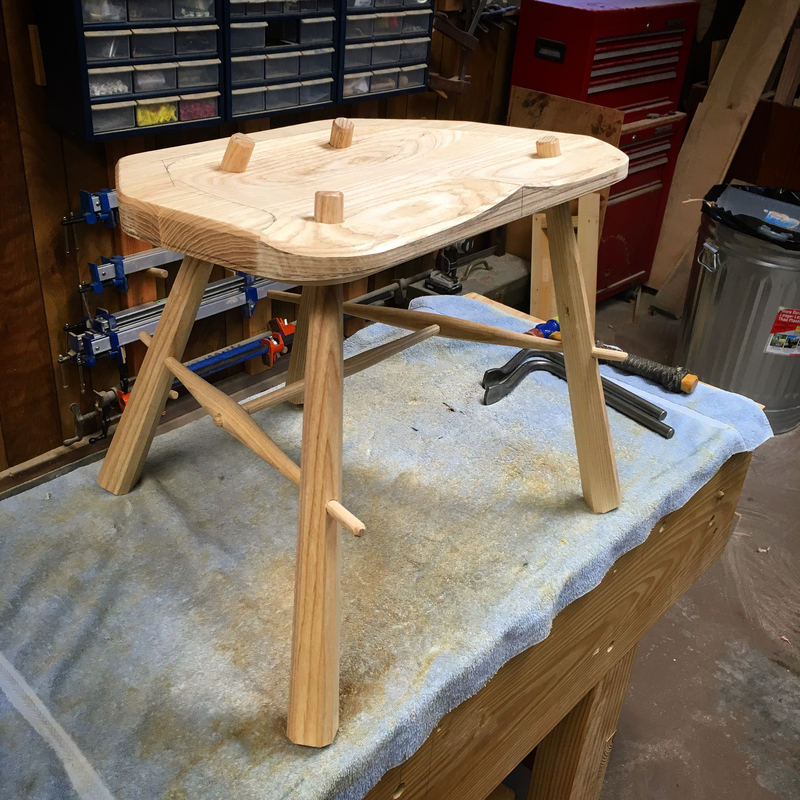 The leg mortises were drilled and the seat saddled. First, roughing out with gouge and mallet. Followed with travisher and scraper. 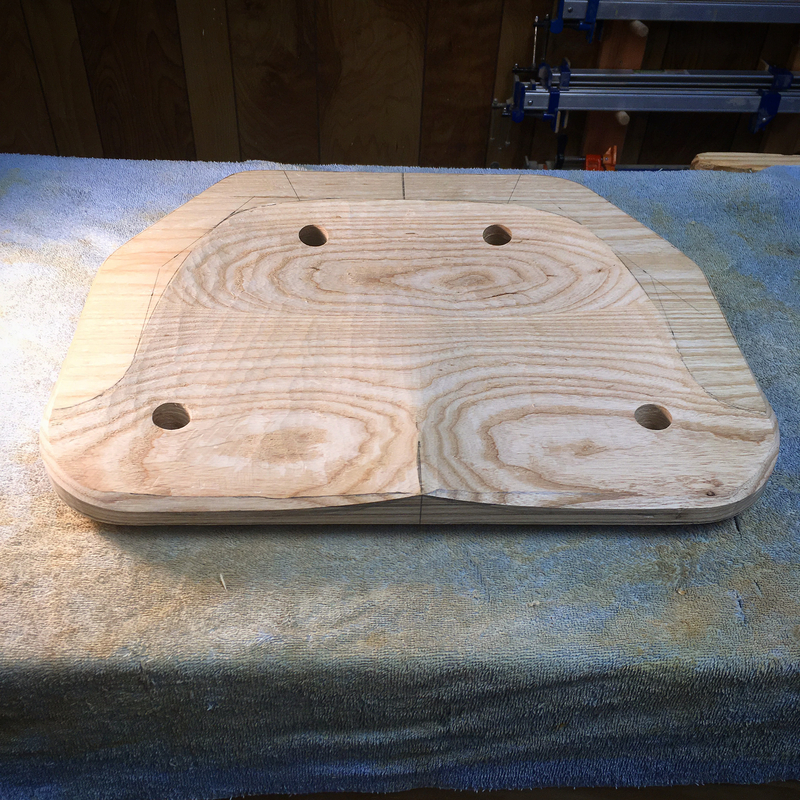 The edges of the seat were chamfered. The chair was then legged up and stretchers fitted. 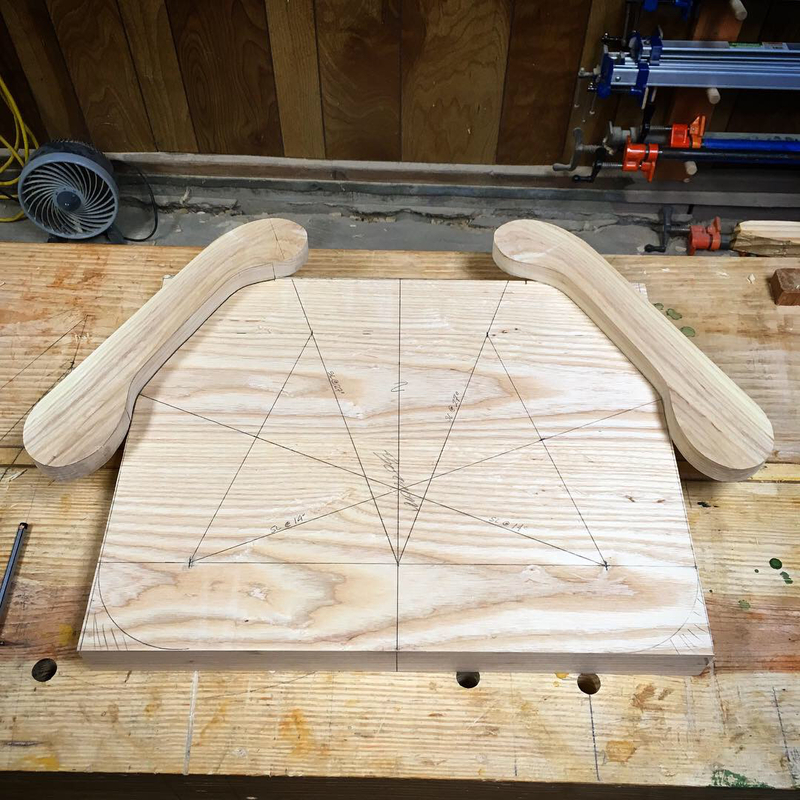 I did use this opportunity to refine a jig that I have been developing for this type of chair and to record the details. 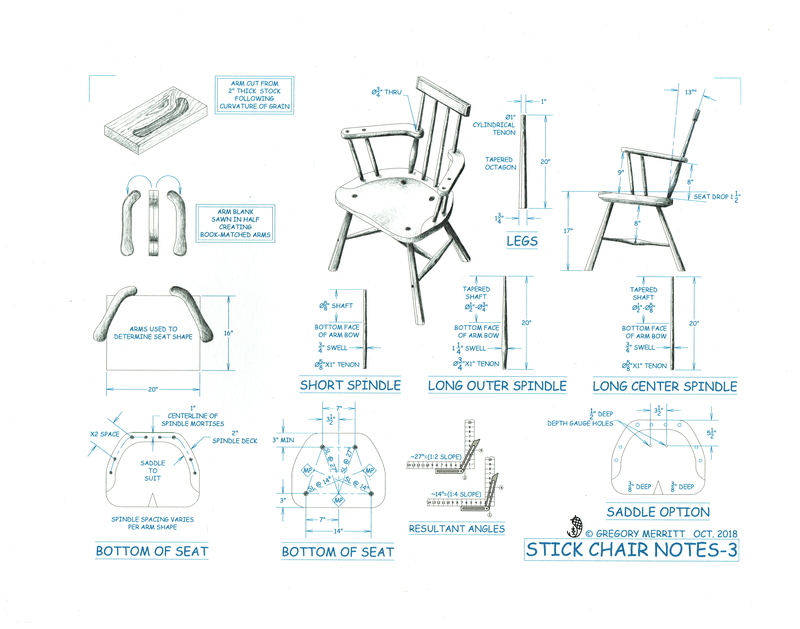 The jig provides a bit of continuity to a chair that largely develops organically. I then fitted the arm spindles and crest rail. This crest rail is from a scrap of walnut that I found in my attic. 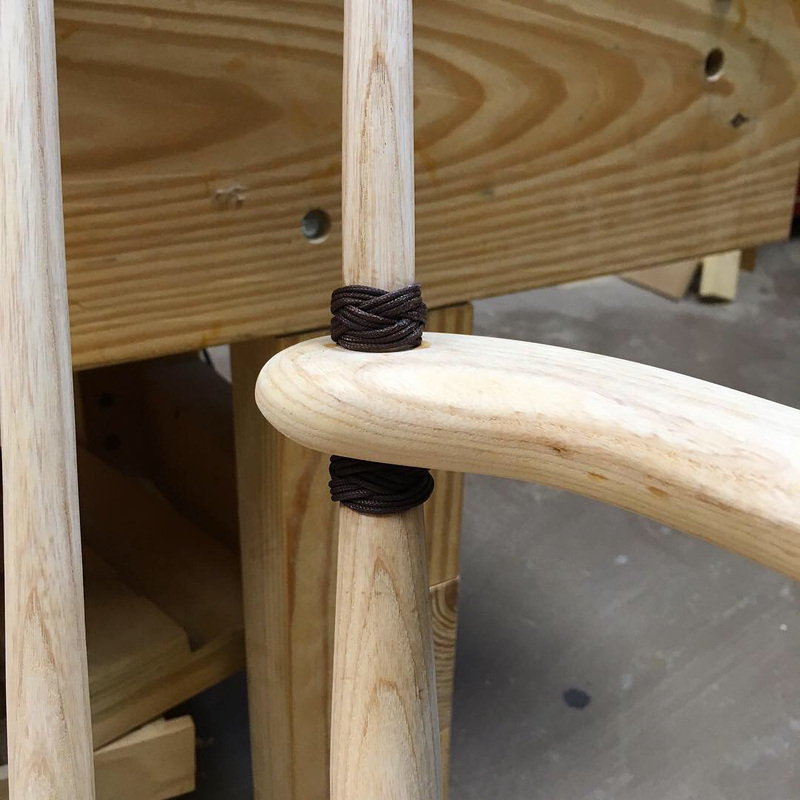 The contours of the arms and crest rail were then refined and the chair assembled with glue and wedges. I added a bit of wood burning to a few of the edges and a touch of knot work. 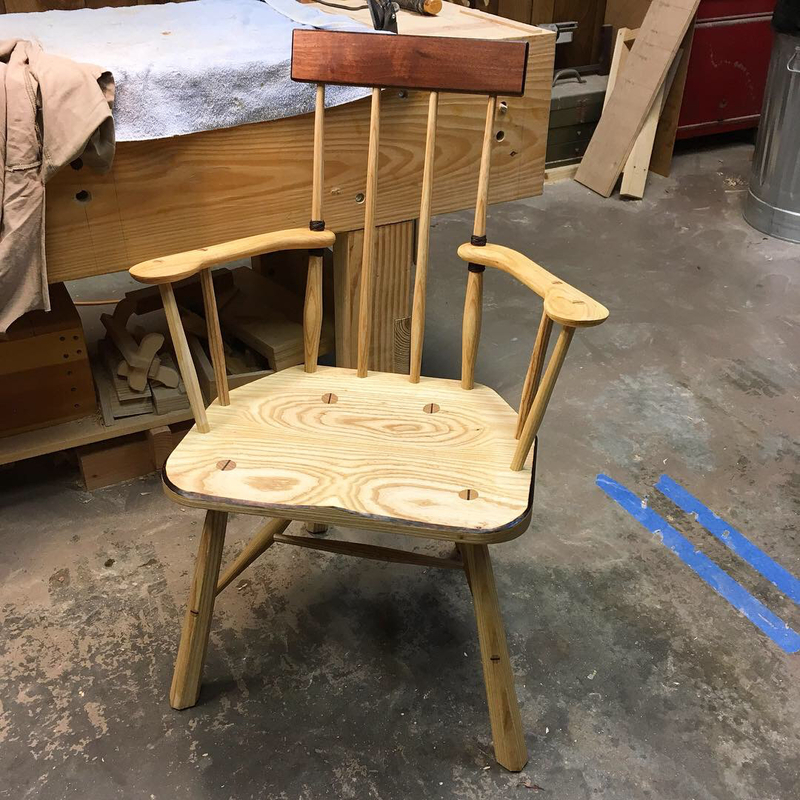 Finally, the chair received several coats of oil and beeswax. 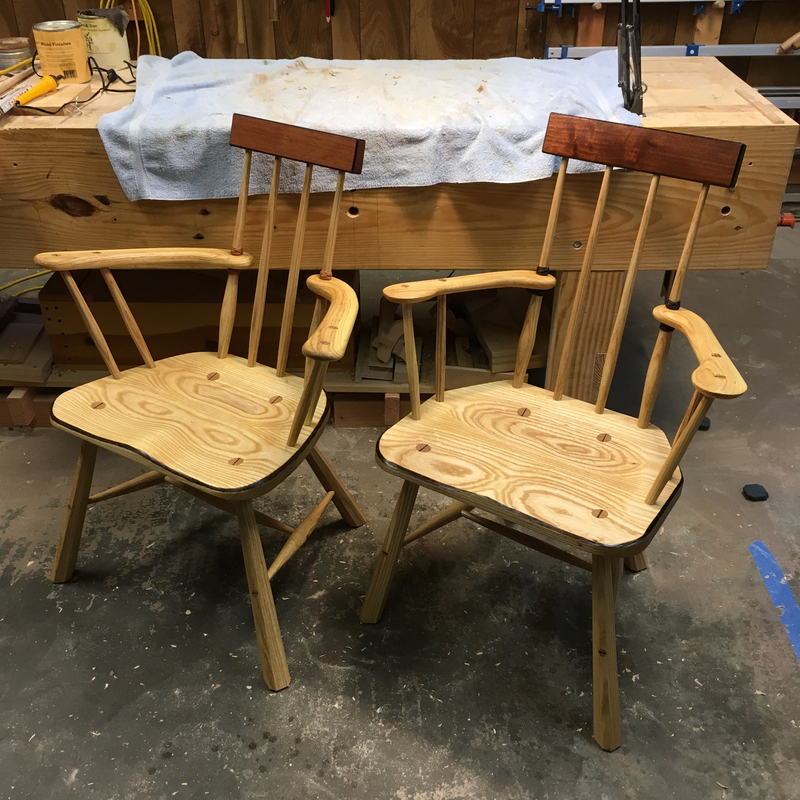 The two chairs from this design. The prototype on the left and the slightly refined version on the right. 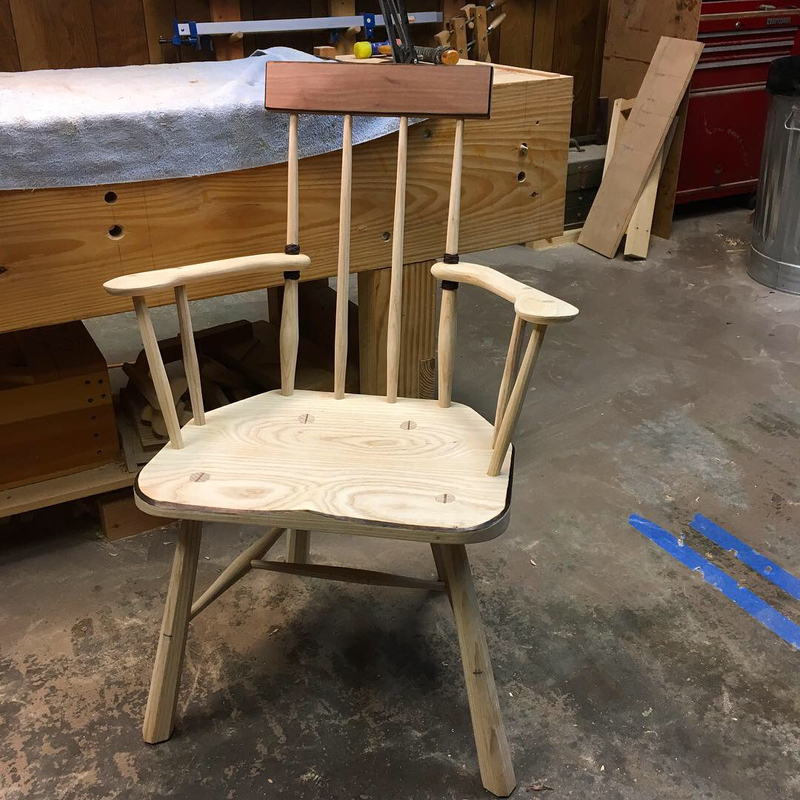 I still want to build at least two more versions of this chair. Unfortunately, I developed tendonitis in my right elbow somewhere along the way. The condition was so severe that I could not even grip a beer bottle. So the situation was critical. For the past several weeks I have been resting it and the tendonitis is starting to subside. Hopefully I can get back into the shop in few more weeks. In my next post I’ll show you how I have been spending my creative energy while convalescing. 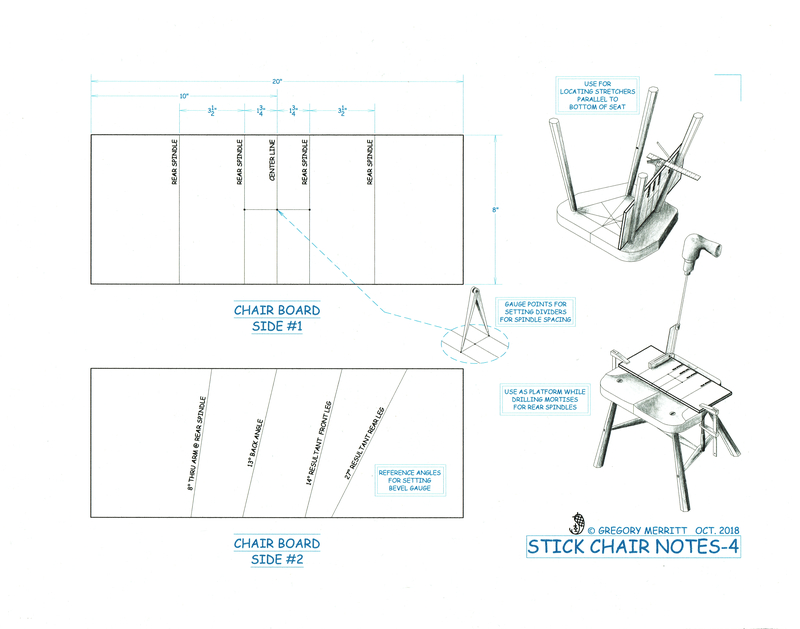 This entry was posted in Stick Chairs and tagged chair making, irish hedge chair, stick chair. Bookmark the permalink. Couldn’t hold a beer bottle!!! I figured it was serious but…..WOW…. Anyway, I hope you are on the mend, I know what ailments of that nature can do. LOL, this too shall pass…eventually. Sorry for your tendonitis. Those are killer looking chairs. 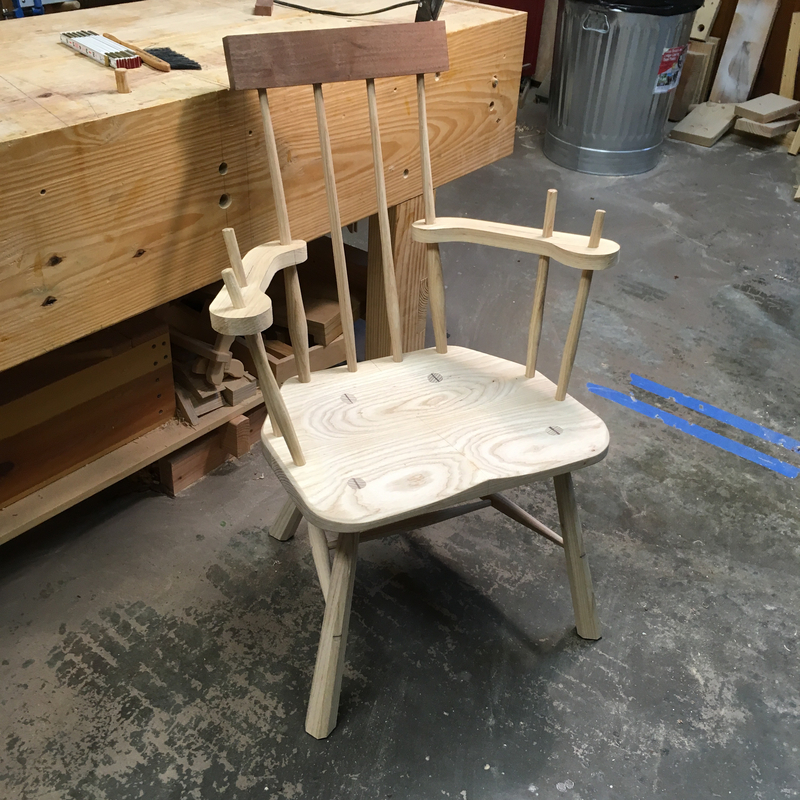 I have some ash left over from two projects and all of this has me thinking about a stick chair of my own. You should go for it Jeff. Chairs are nowhere near as difficult as I had imagined. May your tendonitis be behind you soon! The chairs show how talented you are! 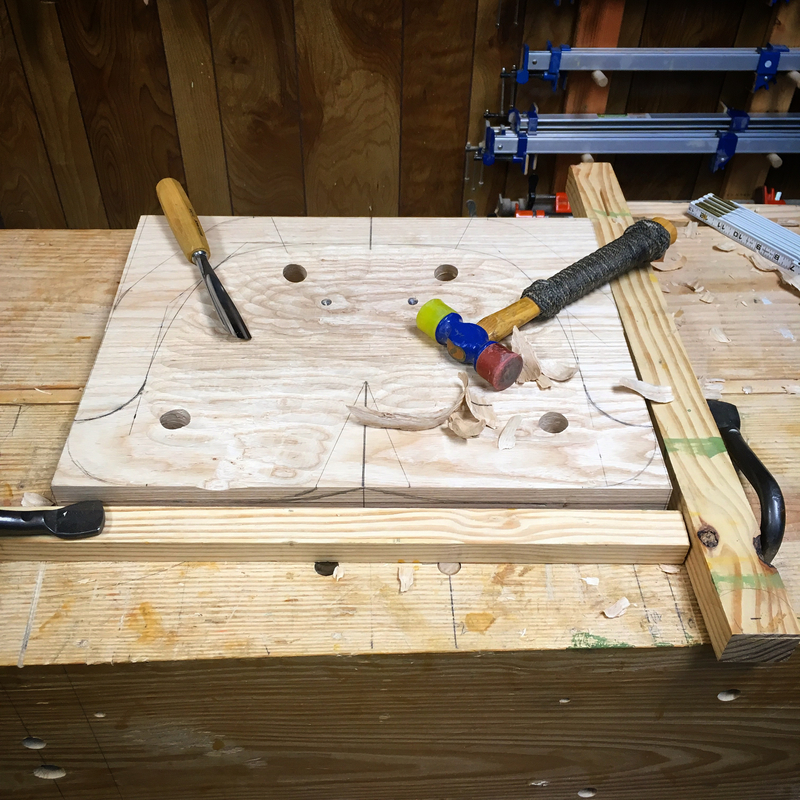 It´s one thing when tendonitis keeps you from handling woodworking tools, Another when it prevents use of whatever things you use to make a living. But, holy cow, when you can’t hold a beer bottle??? … YIKES!!! Get some treatment. Heat treatments, cold treatments, yak dung, whatever. I hope you were able to hold a beer bottle with your left hand rather than be forced to drink it from a straw. Ha,ha. Yep left hand still works. So only a partial disability and I didn’t have to suffer the indignity of a straw. I may have a solution to your problem… Here in Portugal we have a thing it’s called a “mini”. Always great description and drawings on your posts.